Ingrid Graham is a classically trained dancer, choreographer, mentor and educator. She performed and presented choreography at the Edinburgh Festival, Merce Cunningham, Dance Under The Stars Choreography Festival, California African American Museum and the Brooklyn Academy of Music. 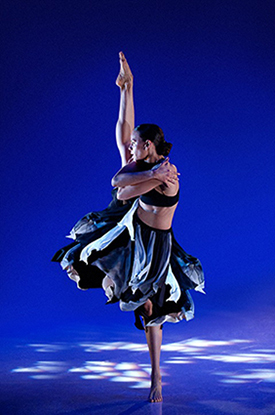 She danced with the Pacific Northwest Ballet and as a guest artist at Stephen Sondheim’s Gala Benefit in NYC. Her commercial dance clients include Victoria’s Secret, Pharrell Williams, Latin Grammy Awards, Nike and Saks Fifth Avenue among others. She produced and choreographed several dance films that have received honors and screened at the Tribeca Film Festival, Lincoln Center for the Performing Arts, ADF International Screendance Festival at Duke University and the Los Angeles Movie Awards. Ingrid has also appeared in Vogue, Glamour and Vibe Magazine. Teaching and mentoring are a significant part of her life. She serves as a mentor and coach for the NAACP’s Afro-Academic, Cultural, Technological and Scientific Olympics. She is also on the dance faculty at AMDA College & Conservatory of the Performing Arts in Hollywood. Ingrid developed the “Start Today” program for young dancers aspiring to be professional performers. The program focuses on creating a vision for your career and life and implementing the necessary steps to make your projects a success. Graham started her dance training at the LaGuardia HS of Performing Arts in NYC. She trained on full scholarship at San Francisco Ballet, Pacific Northwest Ballet and the David Howard Dance Center. She is a former Hadar Foundation scholar and ballet award recipient from the National Foundation for Advancement in the Arts. She graduated with honors from Hunter College in NYC.